Here are some general pointers to enable you to get the most out of the lesson and enjoyment of your holiday. 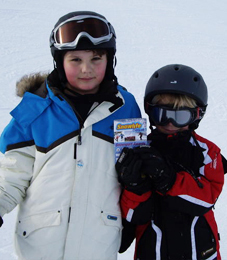 Adults and children in the same lessons have different expectations and goals so to deliver the best lessons Ski Technique adapt the content of the tuition to suit the client's needs. If anyone in the group has any serious medical conditions please inform the instructor as a matter of safety. To get the most enjoyment and learning experience, it is important to keep the group, a similar ability. If you are not sure, please refer to our ability chart. During any advanced off piste skiing, Ski Technique strongly advise everybody wears a transceiver. For the latest prices please click here. to the most extreme skiing. 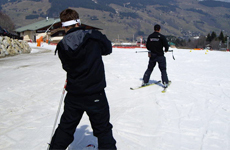 trained to teach and develop all areas of your skiing from technique to improving confidence at any stage of learning. Every lesson starts with goal setting and ends with lesson analysis, allowing the client a clear understanding of their own development and future action plan to go further. No matter how much or little you are able to do, our team will make learning safe and fun for you. Ski Technique can also offer you personal video analysis. This is a very effective learning tool used by all the top world class skiers. the children to learn a basic understanding of technique whilst having fun. When booking children's lessons, please aim to keep the age and ability of the children in the group to a similar standard, you may find it helpful to refer to our ability chart for advice. 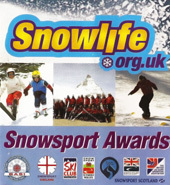 Ski Technique Ski School will be offering snowlife awards for childrens lessons. For the latest lesson prices please click here. If you are looking to explore the Evasion Mt Blanc ski area, Ski Technique are happy to show you around and arrange restaurant bookings. Full day bookings allow groups of up to six to explore some of vast 445km of marked piste in the Evasion Mt Blanc. The booking starts at 9.15 and finishes at 4pm or 5pm dependant on weather and lift time closure. Alternatively if you are a group of mixed ability and ages, Ski Technique are happy to split the instructor's time between morning and afternoon sessions with separate groups.